We pride ourselves on the relationships we have established over the years with homeowners, interior designers, architects, and builders. Our experienced design staff is dedicated to creating that “special” look which meets your needs, desires…and lifestyle. No matter what your focus, you will appreciate Northeast Cabinet Design because we go above and beyond your expectations. 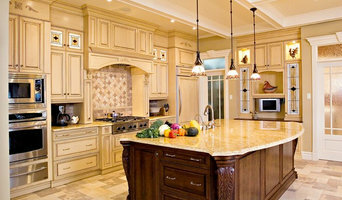 Our best press comes from our long list of satisfied clients in Fairfield and Westchester Counties; we have generated a large following for our original and personalized custom cabinetry designs. We invite you to take a leisurely browse through our site which includes information about our services, our products, testimonials, and, of course, an opportunity to view images of the many, varied projects we have completed for our clients. Our kitchens are featured in several current coffee-table books: Dream Kitchens by John & Cassidy Olson, Kitchens That Work by Beth Veillette, and Country French Kitchens by Carolina Fernandez. Our work has been shown in several industry magazines, and we have designed kitchens for homes that won a 2007 HOBI Award from the Homebuilder's Assoc. of Connecticut. If you are contemplating a new kitchen, bathroom, library or office, let us help you transform your home. 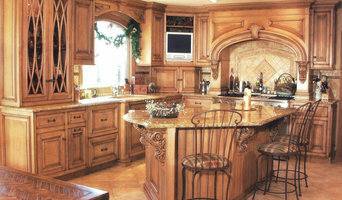 Call or stop by our beautiful showroom soon, and please mention that you visited our web site. We have provided directions and a map for your convenience. 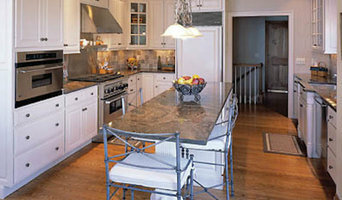 RJM Design and Staging Solutions will help you transform your space to fit your own personal style. Weather you are looking to do a full scale renovation, or simply refresh your existing space we can help. Denise O'Connor is the Designer and owner of INNOVATIVE DESIGN UNLIMITED. 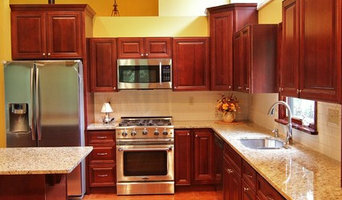 Her work has been featured in New Jersey Home and Garden, and in Northern New Jersey Builder/Architect . 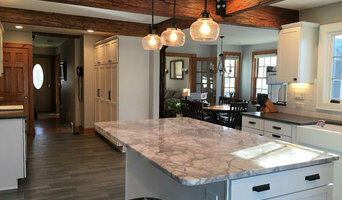 Denise has been utilizing her creative imagination along with unique design skills and experience in architectural design, and interior renovations for over 25 years. During the initial consultation with each client, it is important to understand the scope of the project, and the clients expectations. She will listen and remember the clients likes and dislikes and will establish a workable budget. During the design process, it is important to develop a comfortable working relationship. Denise will discuss her ideas with the client to assure that the room is created with a personalized touch, and pay attention to every detail. Her goal is to provide outstanding design, combined with quality products and superior installation, always competitively priced. Innovative Design has the skill, experience and design capabilities to transfer any room in your home into something extraordinary! With a background in interior design, I love to create kitchens that are functional as well as beautiful using a "3 pillar technique" in my work: Clarity - identifying what you need in your kitchen to keep "in step" with your daily living; budget, and style. Collaboration - we work together to achieve your goals and dreams; and, Creation - doing and understanding what is necessary to have everything just as you want! Please check out my website, www.joanbiggdesign.com and read more about my process, see photos of my work, and read the reviews of my clients. While you are there, please sign up for a 30 minute complimentary free telephone consultation to see if can help you make your dream come true! Kitchen and Bathroom design service assisting clients with space planning, product selection, tile design, lighting design and project coordination.